If you're looking for a show that has good little spooks to keep you up at night, Yamishibai's first three seasons are a lot of fun and a must watch. However, early Season 4 things start to go downhill. The art loses its puppet show-like atmosphere and instead feels more like a slideshow, in particular people stop moving up and down to denote who's talking and sometimes even walking. Many of the stories start to feel like only the first act of a longer story and lack resolution. But not in a way that makes you feel at unease like many of the earlier stories, which usually ended moments before the ending which gave you some idea what was going to happen. Many the stories that do feel complete are still unsatisfying and fall flat. TLDR; First three seasons good, last three are mediocre at best. It's beyond amazing... Short horror stories around 3-4 min each and each one is different... Intro creepy as hell. Animation isn't 'wow' but after a while you just don't care. You just want more out of each episode. It streams every Friday around noon. This stuff might be frightening for youths, but it's pretty lackluster in terms of content. The animation style is simple, and not exactly unwelcome, but it doesn't aid in the scariness of the episodes in any way. Overall, this is underwhelming horror. Yamishibai is a unique series in a couple of ways - it's focused exclusively on ghost stories, the animation style, and the shortness of each story. It may not be your cup of tea, but if you enjoy campfire ghost stories, spelunking the SCP Foundation, or manga such as Fuan No Tane - see for a quick peek http://tvtropes.org/pmwiki/pmwiki.php/Manga/FuanNoTane , you will really enjoy this series. If you like creepy pasta this is so for you. If you like horror it's probably right up there. 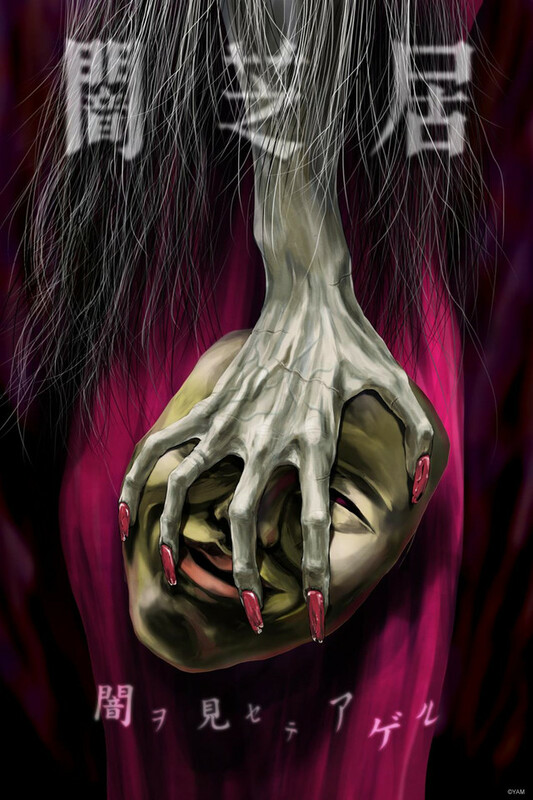 Most of it isn't traditional style Japanese horror (though there are a few stories that uses traditional myths/legends) but there are some great twists when you hit the end. There were a couple of duds, but with this many episodes you're bound to have that (plus what is terrifying can be very subjective). I binged the first four seasons a few months back then saw all of season 5 was out and gobbled it up in on sitting. The animation is that 'animated graphic novel' style you see every now and again, but I think both theart style and the non-conventional movement really help to heighten the vibe. Great series. There are a few weaker episodes, and sometimes the cultural customs tied to the scary stories don't shine through to a Western viewer, but overall there's enough eerie, disturbing imagery and atmosphere to put this series over as one of the most unique and genuinely unnerving anthology series I've ever seen. Plus, the short span of the episodes makes it great for someone to watch a horror series on the go and binge many episodes at once. Honestly, I started this on a whim, and I found myself steadily going through the episodes that were posted so far. I enjoy the picture book style of narrative, and leaves more for the viewer to infer. But, I still feel like the content needs something more. I am not sure what, some of them are little hard to follow or not quite as linear as it would seem. Overall, I am still going to keep watching. Like I said, Interesting. In my opinion, Yamishibai is a great example of how when it comes to horror, sometimes less is more. Each episode is stand-alone and clocks in at just under 5 minutes, but always manages to tell a coherent and creepy narrative. The show doesn't waste any time trying to be funny or creating lovable characters. Really, the characters are only there as a vessel for that episode's frightening events to happen to. It seems like the show's only real goal is to be creepy. It isn't a comedy or drama with horror themes, it's just horror. The animation is meant to mimic a traditional form of Japanese storytelling called "Kamishibai" which involves using paper puppets to act out stories. The fairly simple animation really helps set the mood for the show. The show covers a wide array of horror themes, but almost always has a supernatural bent, as opposed to more theoretically possible threats, like serial killers and such. Episodes range from kinda "in-your-face" style shocking and frightening, to being a bit more subtly creepy or unsettling. If you like horror at all, I'm certain you could find at least a few episodes to your taste. One complaint I have often seen about the show is that the episodes generally raise more questions than answers, and never fully explain what is happening. Honestly, I think that is the way it should be, after all, the unknown is a lot more frightening than convenient answers wrapped up in a bow. While seasons one and two were pretty much similar, each subsequent season has had it own theme. Season 3's theme was "100 Strange Creatures" and featured a variety of very over-the-top looking monsters. Season 4 featured a different narrator for each episode, some people found that the added narration distracted from the horror, but I find more detailed narration fit with the "Kamishibai" theme of the show. Episodes in season 4 also each contained 1 or 2 live action video shots. The current season, 5, has the theme "Girl Horror" and features only episodes written by women, and so far at least, only female protagonists. Depending on how easily scared you are, you might find the show overwhelmingly scary, or not frightening at all. But even if you are not easily freaked out, I think an average horror fan can enjoy the strange and unique ideas presented by the show, even if it doesn't keep you up at night. All in all, if you like horror, I'd advise checking this series out. Even if you decide it isn't for you, it isn't a very major time investment.